Dr. Fuller integrates advances in neuroscience, family therapy, and compassion in creating a personalized treatment plan for each client. Therapy is highly individualized for the unique person, couple and situation. Therapy with Dr. Fuller will tend to focus on growth and healing. 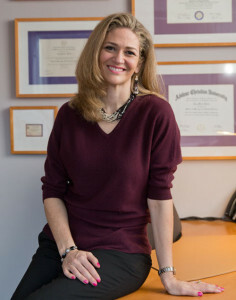 Dr. Fuller’s patients describe her as warm, easy to talk to and a great listener, but also as one who “tells it like it is” in a direct compassionate style. The science of the mind and relationships has advanced to where we now know what is most effective in helping clients and couples achieve real and lasting change. Dr. Fuller utilzes state-of-the-art, evidenced-based practices and techniques to help her patients reach their goals, grow as individuals and discover deeper peace, joy, and meaning in life. Dr. Fuller is a differentiation-based systemic therapist. This approach emphasizes each persons willingness to grow and potential to relate to themselves and others in more honest and compassionate ways. Exciting advances in neuroscience demonstrate the brain’s ability to change and create more inner-peace, contentment, and confidence. Integrated within a relational model, Dr. Fuller uses a variety of relaxation, mindfulness, and awareness techniques to take advantage of the brain’s innate resiliency, including EMDR and hypnosis deep state training when appropriate. We were created for connection. Usually both our darkest and most joyful moments involve those who are closest to us. Our partners, family, and friends can provide us with support and warmth, but these relationships also bring pain, isolation, anxiety, and even desperation at times. The emotional aspects of well-being are essential to both healthy relationships and personal growth. In couples or family therapy, Dr. Fuller will facilitate a healing process where these important connections can be restored and strengthened by helping individuals grow as a person in front of their loved one. Many people spend a large fraction of time in their heads lost in worry, fear, or sadness. Sometimes people fixate on past experiences or in dread of future anticipations…wandering through life unaware, detached and purposeless. In cases of severe trauma, unconscious triggers can create complex conflict within the body and impact relationships in many ways. Our bodies bear the burden of stress we experience in life. Usually the way our bodies express these connections is outside of our awareness. In other words, we don’t typically link physical symptoms with relational, emotional, or even mental difficulty. Through particular proven practices and interventions, the mind, heart and body can find new ways of working together to create a deeper sense of wholeness and completeness. Not all therapists will address spiritual issues within the therapeutic setting. Dr. Fuller believes fully in the strength and resilience found in the faith and beliefs of her clients. When appropriate, Dr. Fuller will integrate spiritual concepts into the healing process, based on the self-disclosed beliefs of the client. Request an appointment or call (832) 848-0870.